Users of the new Apple TV in Canada now have access to a new section—Categories. As seen in the screenshot below, Categories now reveals sections for: Education, Entertainment, Games, Health & Fitness, Kids, Lifestyle and Sports. Categories first appeared for new Apple TV users in the U.S. in early November, but now it’s finally available in Canada. 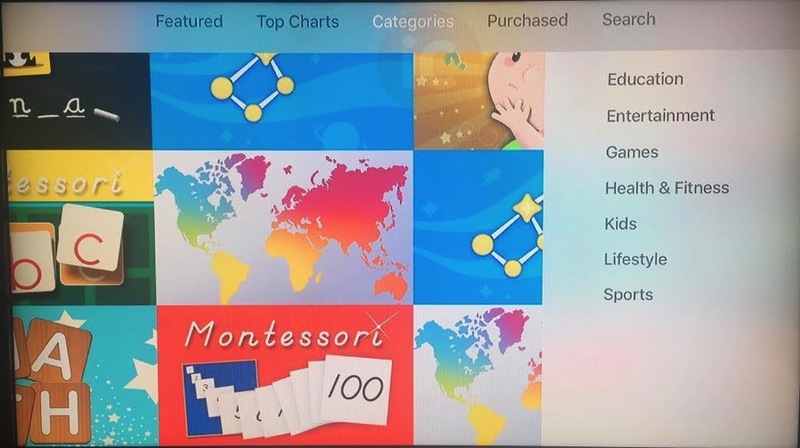 The addition of Categories is essential for users of tvOS to make app discovery better on the new streaming device, which is pegged to have nearly 2,700 apps, according to recent data from AppFigures.